Here, each grower can get excellent feminized and autoflowering cannabis seeds, which are perfectly suitable for all growing conditions. Maybe, there is no more rational and optimal option for a beginner. The feminization allows to grow only female plants, and thanks to the autoflowering you don’t have to think about changing photoperiod. Furthermore, the speed of growth is very high. Many people start a cultivation of cannabis with the autoflowering feminized seeds. For now they are perfect for beginners, but professional growers also use them. Autoflowering feminized seeds are very popular among the "experts". Many commercial producers in countries that have legalized recreational use of marijuana grow them on their plantations. 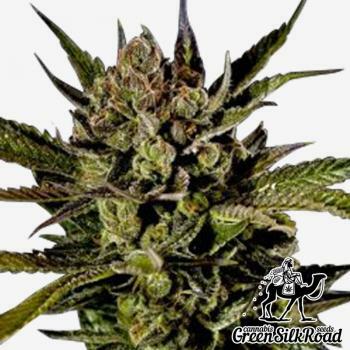 This category of GreenSilkRoadSeeds contains autoflowering cannabis seeds of the best varieties, created by professional breeders. They are ideal for any grower, from beginner to experienced.